Fredrik Grorud Øygard has worked in the aviation industry for more than 10 years. 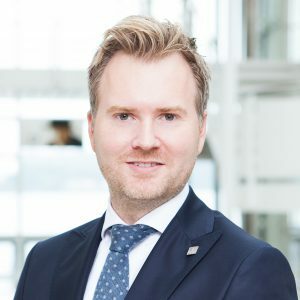 He has held various leading positions within the Norwegian Group, latest as Managing Director of the pilot companies in Scandinavia and Chief Commercial Officer of the Norwegian Resource Group. He holds an Executive MBA from Norwegian School of Economics (NHH) in Bergen, and a degree in Business and Economics from the UK. In his role as CCO, Fredrik is leading the development and execution of our commercial strategy, as a member of the Top Management Group.